While steadily evolving in countless directions, metal has also experienced a resurgence in the 21st Century. The genre has long been a fixture in the underground, but bands like Atlanta shredder titans Mastodon have brought it back to the forefront of music culture. Their melodic tendencies are accessible while the guitars and their attitude keep them honest. 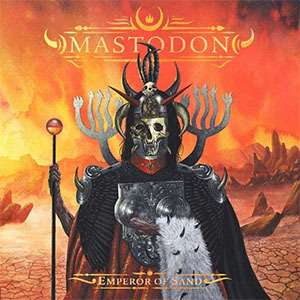 The band’s seventh album, Emperor of Sand, is another reason why Mastodon are one of the premier acts in metal. The quartet — guitarists Brent Hinds and Bill Kelliher, drummer Brann Dailor and bassist Troy Sanders — once again fuse their pristine skills to create gargantuan sounds. 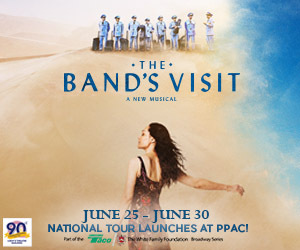 Emperor of Sand centers around a myth of a man sentenced to death in a mystical desert. Recalling ancient epics, it’s accented with riffs, beats and amplification. Each track is a thunderous wave in a barrage of radness. There’s no slowing down and nothing is soft: It’s a bombardment of emphasis. The album is another triumphant chapter in Mastodon’s artistic odyssey. “Sultan’s Curse” starts the album off in triumphant style with an arsenal of guitars. Hinds and Sanders alternate on vocals and join harmoniously, a great example of Mastodon’s underrated versatility. Featuring Neurosis’ Scott Kelly, “Scorpion Breath” has Dailor shining on drums. His fills are incredible and he becomes the rhythmic engine for a fantastic song. An abundance of fuzz encompasses “Steambreather” and it’s the most unique track on the album with Dailor’s stellar vocal range accompanying the reverb of Hinds’ strums on lead guitar. Mastodon will be rolling through the House of Blues in Boston on May 8th. As if that isn’t awesome already, rock & rollers Eagles of Death Metal and instrumental metal act Russian Circles will be opening things up. It’s one of those few shows that happen every year — it’s a stacked show and you don’t want to miss a second. While you’re there, grab a copy of Emperor of Sand. There’s a whole lot of volume that your ears really need, at a reasonable level. Stream Emperor of Sand on Spotify.